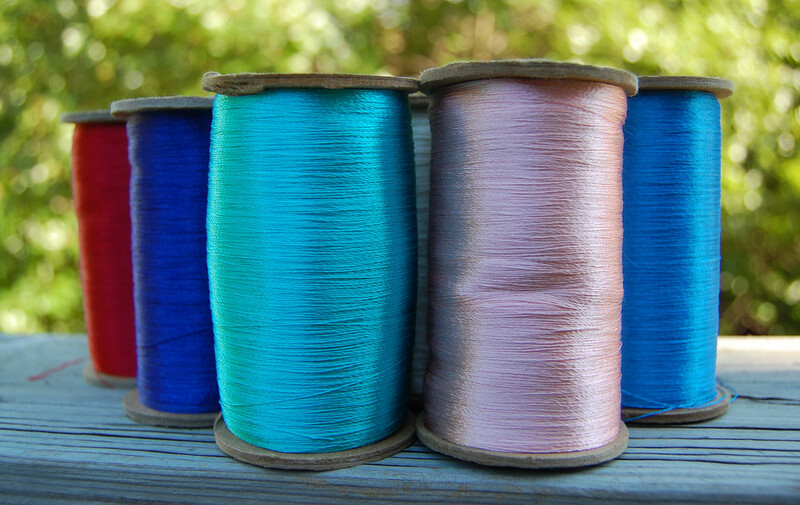 point, I have been using regular thread which has worked quite well. But these are so shiny! And a deal at $0.50 - $1 a spool! young(er) and chic(er), retail therapy for me was shoe shopping. Or something else that normal people liked a lot of. 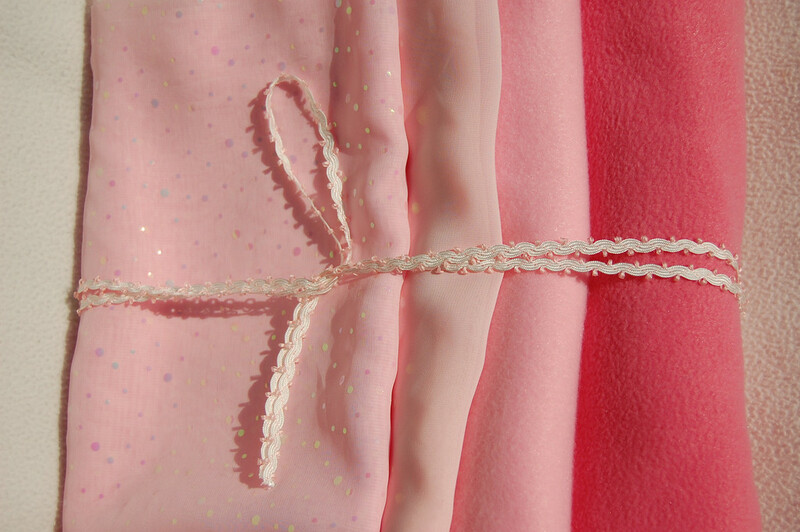 Pink fleece, chiffon and trim for Emily's halloween ballerina suit. 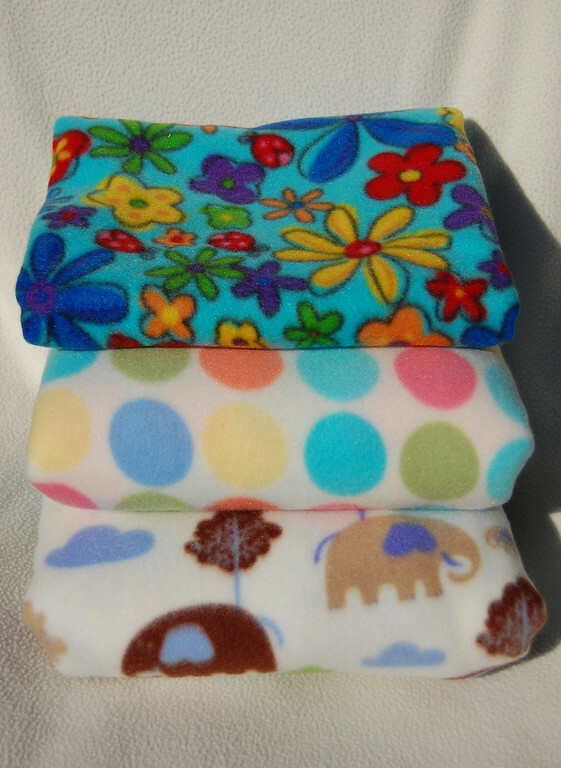 Fleece for baby blankets and other miscellaneous projects. unenlightened or those of sound mind to fathom. Some day bibs will rule the world. What the store lady was doing is called 'Intervention'...but I totally understand. Well i just browsed the fabric warehouse website link and now I'm just plain envious. How silly! That fabric lady should move on to selling tires, I think. 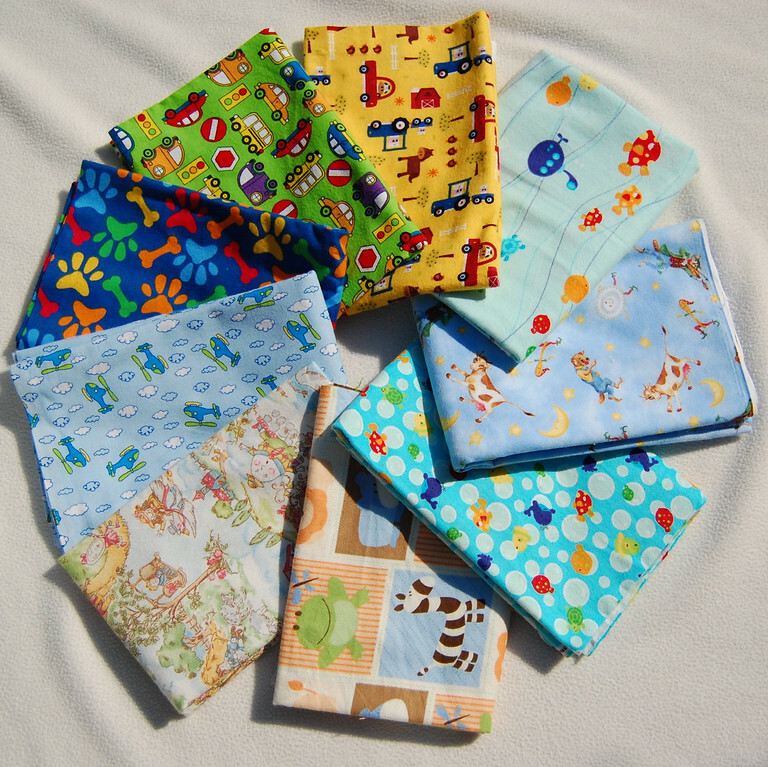 I once had a (Wal-mart) fabric cutter roll her eyes with great annoyance when she saw my stack. Obviously she had no inner fabric vein to tap into.